Elected to the Thirty-Seventh Parliament for Roe on 26 February 2005 in succession to Ross Andrew Ainsworth (retired). Electorate abolished in the redistribution of 2007. Elected to the Thirty-Eighth Parliament for Eyre (new seat) on 6 September 2008. Re-elected 2013. Electorate abolished in the redistribution of 2015. Defeated at the general election of 11 March 2017 for the seat of Roe (new seat) by Peter Rundle (NAT). Member, Joint Standing Committee on Delegated Legislation from 7 April 2005 to 13 February 2008. Member, Education and Health Standing Committee from 24 March 2011 to 30 January 2013. Member, Education and Health Standing Committee from 9 May 2013 to 30 January 2017. (Chairman from 15 May 2013 to 30 January 2017). Opposition Whip from 20 March 2005 to 22 August 2006. Opposition Whip from 25 January 2008 to 17 June 2008. Minister for Water: Mental Health from 23 September 2008 to 14 December 2010. Shadow Minister for Drug Abuse Strategy from 9 March 2005 - 4 February 2006. Spokesperson on Disability Services from 4 February 2006 - 8 April 2006. Shadow Minister for Disability Services; Seniors; Goldfields-Esperance from 8 April 2006 to 25 January 2008. 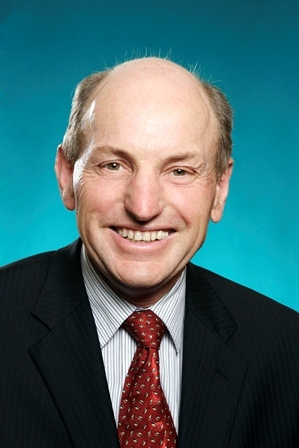 Shadow Minister for Environment and Climate Change; Goldfields-Esperance from 24 January 2008 to 17 June 2008. Born 8 November 1949, Benalla, Victoria. MBBS; DRCOG; FRACGP; FACRRM. Medical Practitioner; Surgeon Lieutenant Royal Australian Naval Reserve. The electorate of Eyre is located in the Mining and Pastoral Region and includes all of the Shires of Coolgardie, Dundas, Esperance, Ravensthorpe, Westonia and Yilgarn and part of the City of Kalgoorlie-Boulder; including the localities of Balladonia, Boulder, Kambalda, Salmon Gums South Boulder and Southern Cross. Enrolment (9 March 2015) 21,657; area 295,565 sq km.